Doubtless anyone who reads the news will have heard about the recent outcry about the censorship of racist language in the latest version of Huckleberry Finn from New South books, in which the n- word has been replaced with “slave” and “injun” with a more standardised spelling, which they doubtless feel will be less shocking to parents on the boards of schools which they feel shy away from studying the text because of the racist language. My two pennies worth? Aside from the fact that it is a satirical novel which criticises slavery (a pretty decent reason in itself not to censor) what is this sanitized version of history teaching children? I’m sure there are things in the past we would all like to airbrush away, unpleasant things we would like to sweep under the carpet, but I don’t think an oppressive period in history should be one of them. When I was teaching I taught Of Mice and Men to my GCSE groups, and rather than shying away from the racism, sexism and prejudice against disability that are used in class, we tackled it head on. For example, which vocabulary did the students feel was appropriate to use? Why did they think that the author had used it? This gave rise to meaningful discussions which lead to the student deciding that Steinbeck’s portrayal of Crooks did not make him a racist, but reflected the attitudes towards black people in the era the novel was written. We discussed the Jim Crow laws. The students learned about the Ku Klux clan. We listened to Billie Holliday singing Strange Fruit and the students learned more about the historical period than they otherwise would have by avoiding the use of the n word. I think it is more useful to teach young people and readers in general to open their minds to what they are reading and allow them to feel comfortable in challenging the attitudes and values presented in the text. This entry was posted in Direct Speech and tagged books, censorship, Children's Fiction, education, fiction, my life, reading, school, schools, young adult on January 6, 2011 by Siobhan. I hope everyone has a wonderful 2011. You may have noticed that I’ve been fairly quiet over the festive season (and a bit before if we’re being honest). There have been a number of reasons for this: flu, hibernation tendencies, a brief fetish for cross stitching (thanks Kirstie Allsop) and of course, Christmas parties. The biggest reason though is I’ve been stuck with a completely uninspiring book. 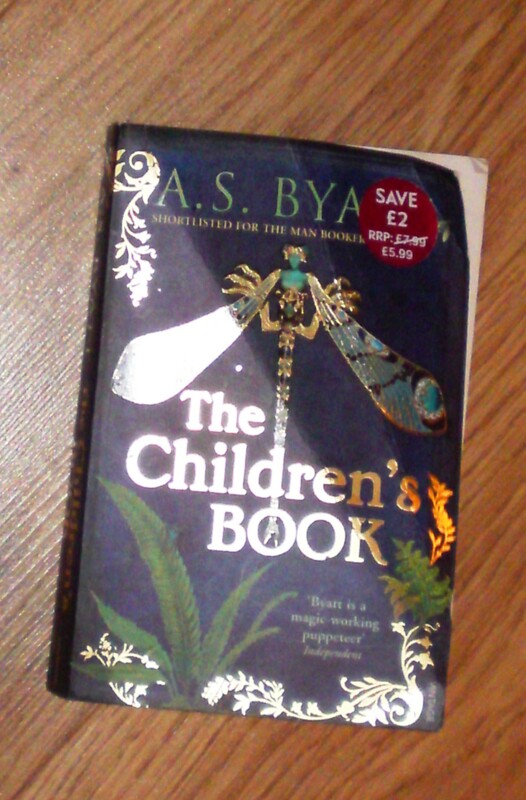 I’ve been at it for about two weeks now and I’ve only made it 200 pages through A.S. Byatt’s The Children’s Book. I’ll save it for the full review for you to have a breakdown of it, but it’s really dragging and has even managed to make me disinclined to write reviews of some other books I’d read before this. On the bright side though, I’m looking forward to getting started on some books I received in December. 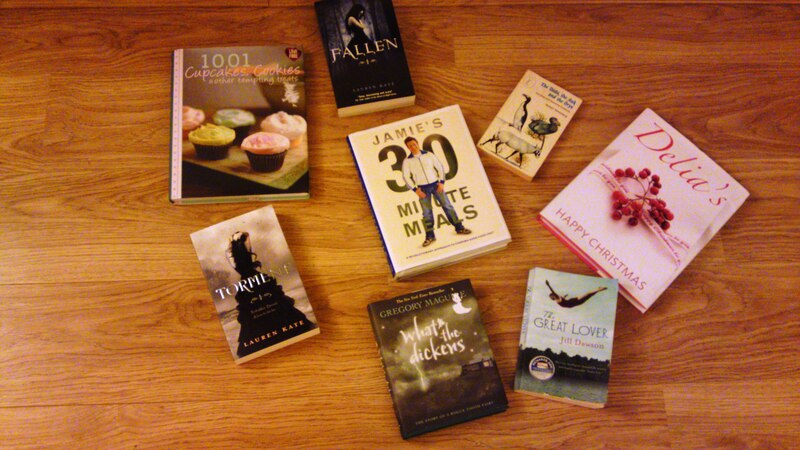 I had my birthday as well as Christmas in that month, and my family passed on a few books as well. I managed to avoid any celebrity biographies/autobiographies which was nice (an amusing breakdown of the genre from Eva Wiseman here) in fact my older sister, most likely to be guilty of gifting such a crime, gave me some YA fallen angel fictions that I’d fancied on my last visit to her house. I’m on a mission to finish the bloody Children’s Book before I start on What The Dickens? the only book my father got me for Christmas this year, but it looks just the ticket. This entry was posted in Uncategorized and tagged books, my life on January 2, 2011 by Siobhan.